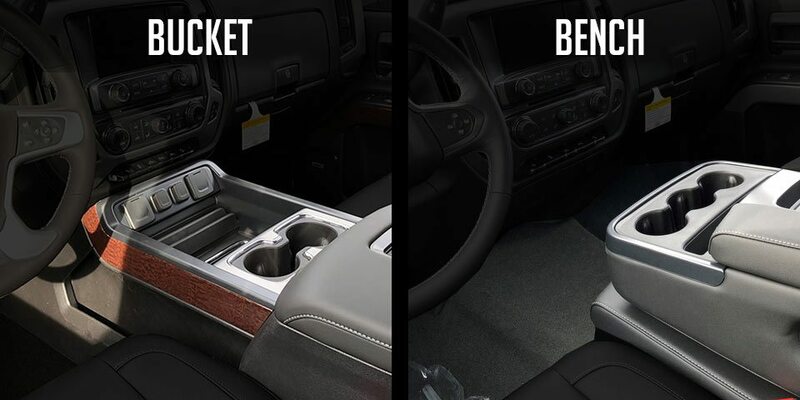 - Bucket Seat models feature a full-length center console that extends all the way to the dashboard. - Bench Seat models feature a half-length center console that extends no further than the seat. 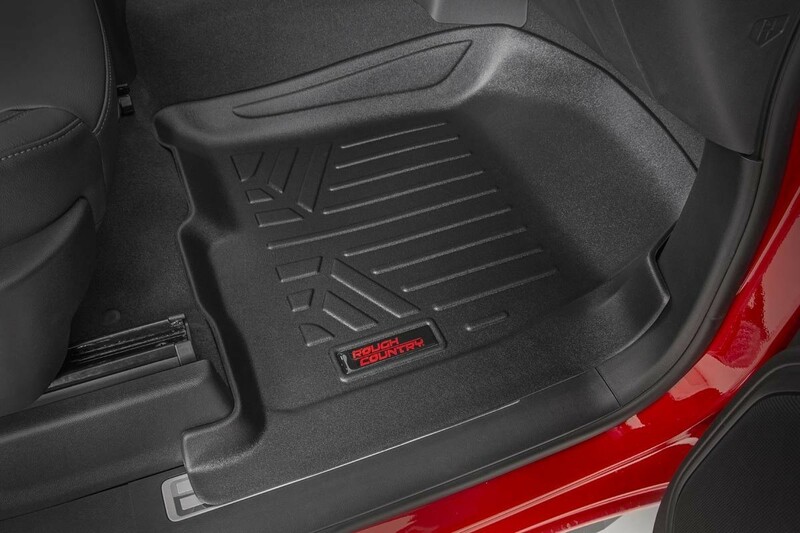 Keep your carpet in pristine condition with Rough Country's Floor Armor: Heavy Duty Floor Mats and Rear Cargo Liners. 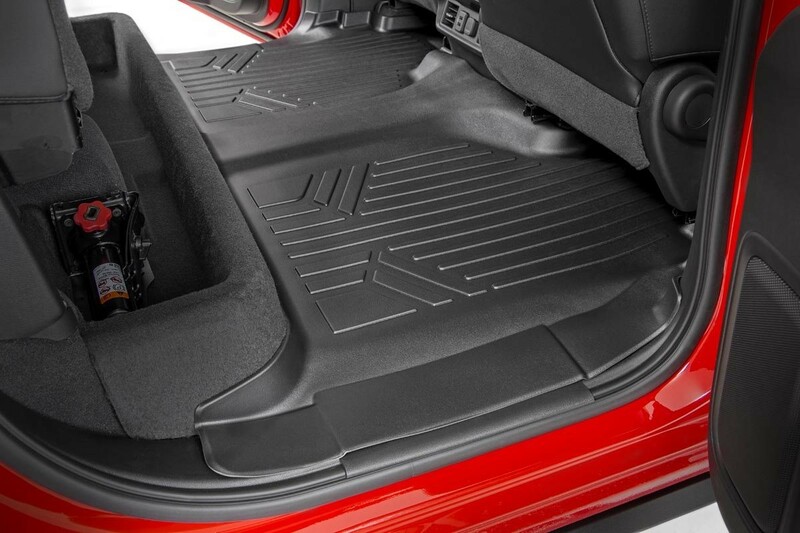 These eco-friendly, semi-flexible floor mats are made of an ultra-durable Polyethylene that offers a strong, rigid shape that's incredibly easy to clean. 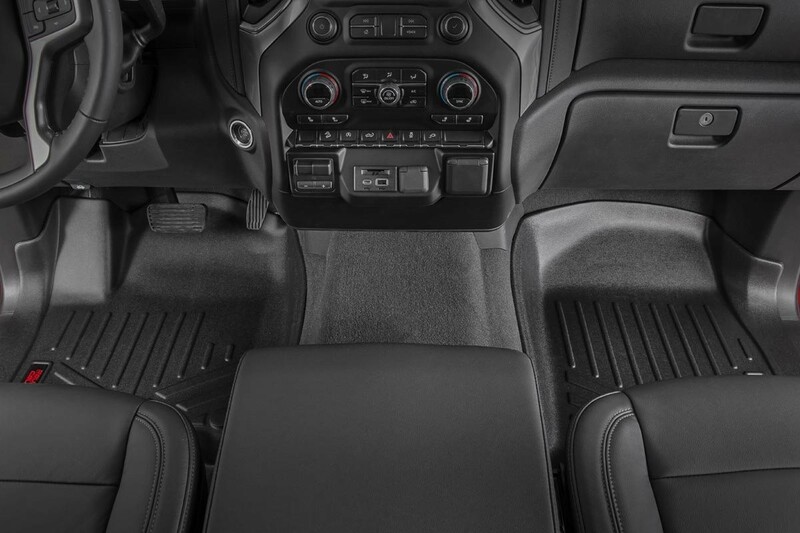 Where simple rubber floor mats fail, Rough Country's line of Floor Armor is guaranteed for life and will never crack, split, or break-down over time. The high-quality design extends the lifespan of your carpets and the raised-lip design insures your interior will always be protected from mud, moisture, and more. 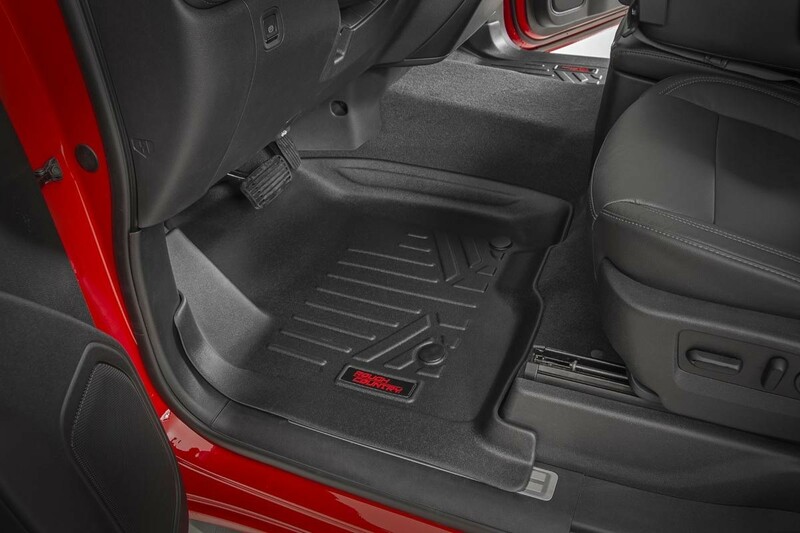 These contoured floor mats are laser-measured for each make and model; designed to be a precise fit that grips the carpet and stays put. 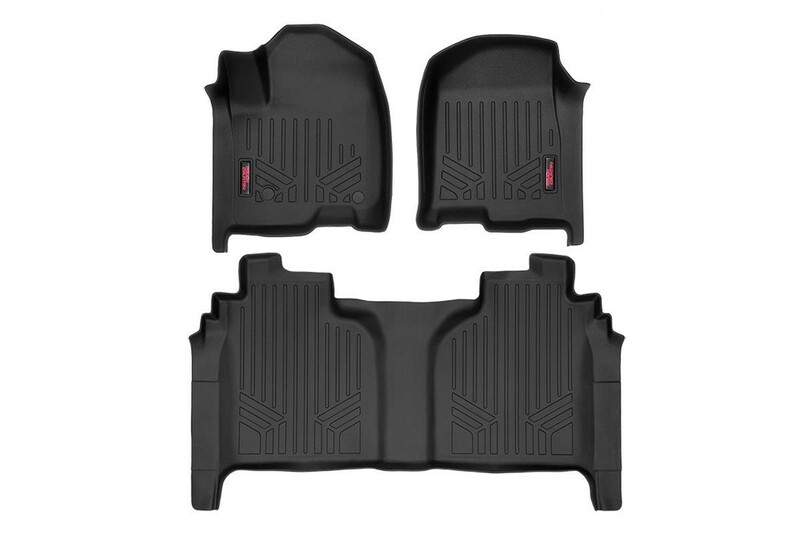 An aggressive looking textured surface gives your muddy shoes plenty of traction and looks great inside the vehicle. All weather protection against Snow, Mud, Sand, Salt Water and More!